New and exciting research has linked the microbial population of the gastro-intestinal tract (GIT) to juvenile growth and development in vertebrates such as mice, with direct translatability to humans. In their recent review Schwarzer et al. (2018) made the case for an important link between the quality of gut microbiota and the ability of animals to thrive. 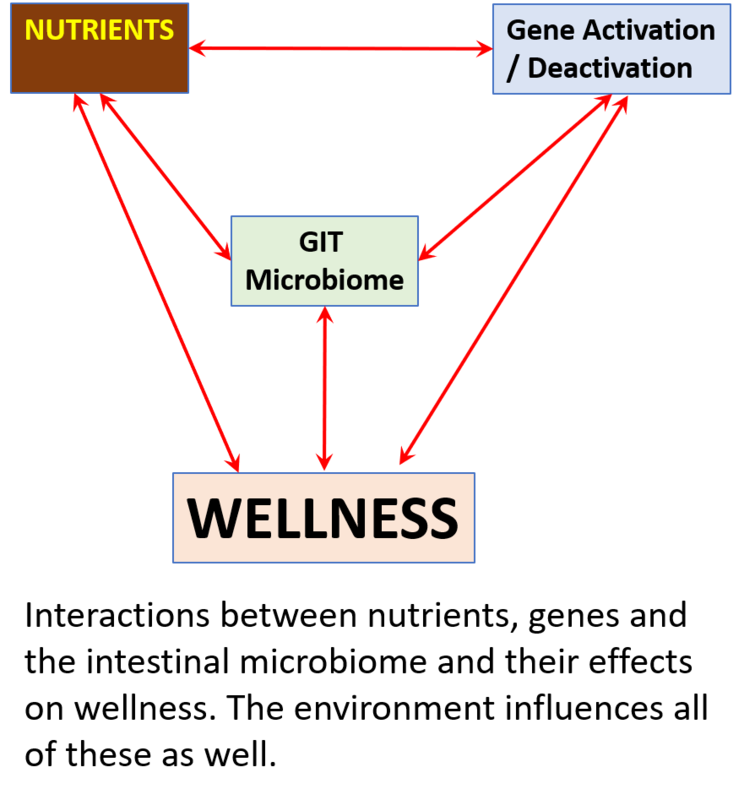 It is not merely the absence of pathogenic microbiota in the gut that is important, BUT also the presence of microorganisms in the GIT that produce molecules that result in beneficial effects on nutrient absorption, immune response and cell signaling. Researchers have shown that supplementing the diet with a ‘growth promoting’ GIT bacterial species promoted the growth of mice fed a nutritionally deficient diet. Others have shown that providing prebiotics derived from milk resulted in a similar effect, indicating that these prebiotics specifically allowed the proliferation of beneficial (commensal) microbes. What does this mean for us? The results of ongoing research deepen our understanding of the importance of nutraceutical products WHEN the right types of nutraceuticals, used in the right amounts, with the right formulation and in the right place, i.e. the target tissues. Determining these is not a simple task and requires the ability to read, understand and interpret the scientific literature. Next is the ability to translate this information into something practical that we can use for the benefit of our people and animal communities. The Nutraceutical Alliance uses health science to improve human and animal wellness. Gut Microbiota and Host Juvenile Growth. Schwarzer M, Strigini M,Leulier F. Calcif Tissue Int. 2018 Apr;102(4):387-405. doi:10.1007/s00223-017-0368-y.